Visually stunning experience reveals breathtaking landscapes. Journey to some of the world’s most extraordinary locations in this new photography exhibition from National Geographic, on view at The Nat on through June 23. National Geographic transports visitors to the wonders of the world—from underwater vantages to the expansive countryside to the most dominating mountain peaks, and everywhere in between. Organized to showcase the phenomenon of changing seasons, the images convey the rebirth of spring, the energy of summer, the vibrant colors of fall and the stillness of winter. The exhibition, inspired by the book “National Geographic Greatest Landscapes: Stunning Photographs That Inspire and Astonish,” illuminates the beauty of our planet through its exquisite collection of 50 images shot by some of the world’s finest photographers. With an introduction by National Geographic photographer George Steinmetz, best known for his exploration photography and a restless curiosity for the unknown, this exhibition captures unimaginable views that allow visitors to escape the walls of the Museum and fully immerse themselves in these remarkable landscapes. In each evocative image, the photographers reveal the landscape while invoking the spirit of the season—from cherry trees blossoming during spring in Japan and tadpoles swimming through a lily pad forest during Vancouver’s summer to the Matterhorn’s summit against the autumn sky in Switzerland and a skier taking flight in the Austrian Alps during winter. Visitors will leave inspired by the beauty of each landscape’s transformation as seasons progress throughout the year. 50 Greatest Landscapes, which is located in the photography gallery on Level 4, is free for members and included with general admission to the Museum. 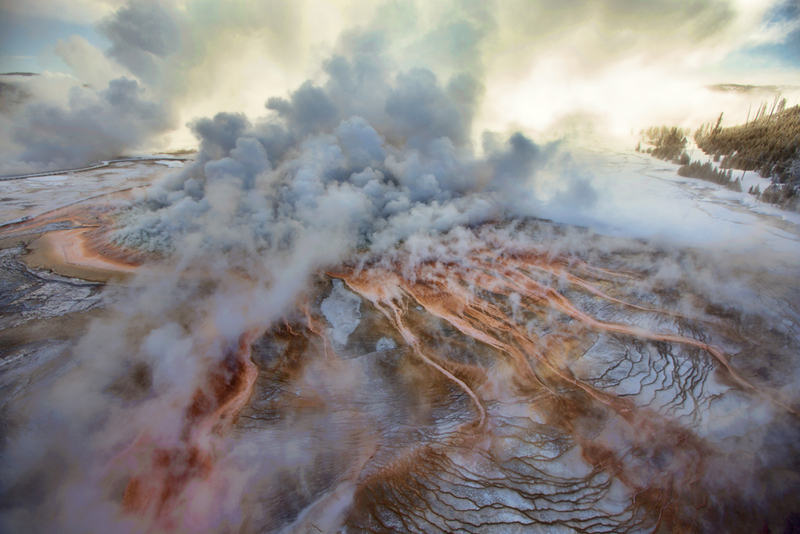 More than a third of Yellowstone sits within the caldera of an active volcano. The orange color comes from pigmented bacteria, also called thermophiles, which live in the hot water flowing out of the ground. Photo by Diane Cook and Len Jenshel. 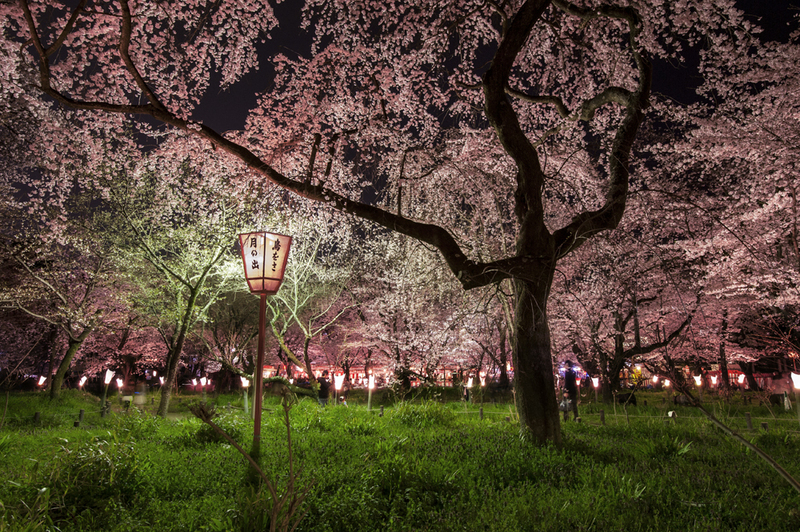 In Japan, the nighttime viewing of cherry blossoms in spring, like these at Kyoto’s Hirano Shrine, is a special event. “The cherries’ only fault: the crowds that gather when they bloom,” wrote Saigyo, a 12th-century poet. 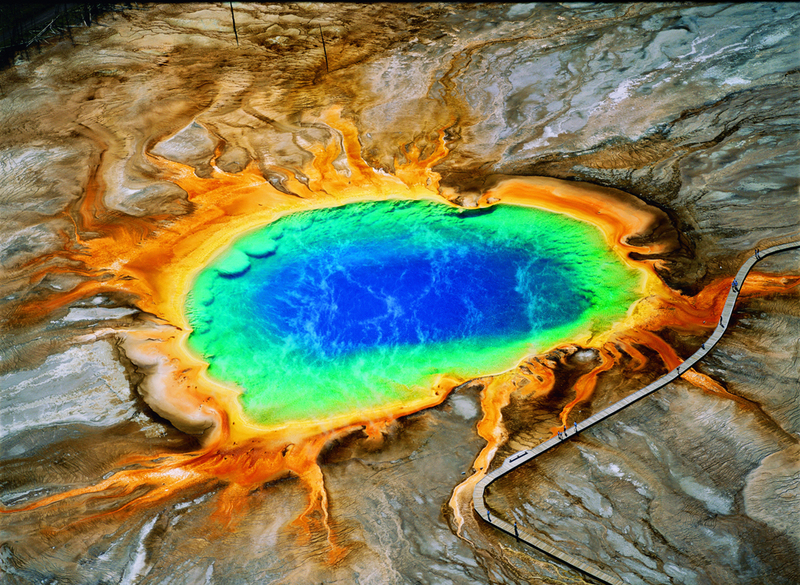 Microorganisms add red and yellow hues to Yellowstone’s Grand Prismatic Spring in Wyoming. Yellowstone National Park was the World’s First National Park, established in 1872. Tourists are able to view the park’s largest geothermal spring from a slightly elevated boardwalk. 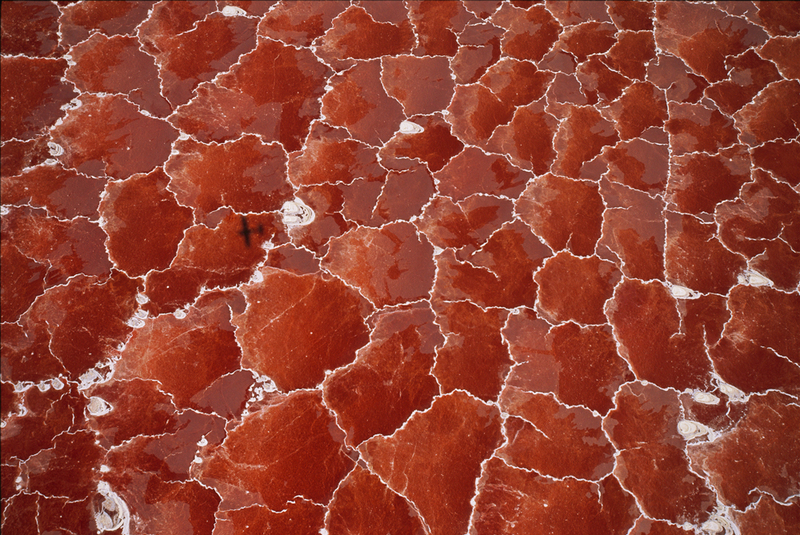 Salt-loving algae gives a red color to the hyper-saline waters of Lake Natron in the Great Rift Valley on the border between Tanzania and Kenya. The lake has an unusual mineral content that is leached from the surrounding volcanoes. The temperatures in the salty mud can reach 50 degrees Celsius (120 degrees Fahrenheit), and depending on rainfall, the alkalinity can reach a pH of 9 to 10.5 (almost as alkaline as straight ammonia).